Eggs of collembola were used successfully to culture pest chiggers (Eutrombicula alfreddugesi and relatives) (Crossley, 1960). It is difficult to assess the importance of the soil-dwelling Prostigmata, even in those cases when their numbers escalate. Those species predaceous on nematodes may have an impact (Whitford and Santos, 1980), but it is seldom quantified. 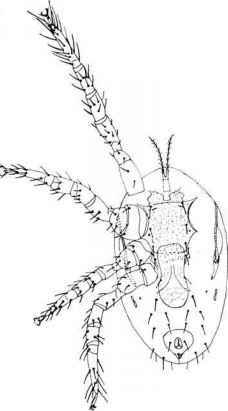 The biomass of prostigmatic mites is generally small, only a fraction of the total acarine mass (Kethley, 1990), and their total respiration is comparatively small (Luxton, 1981b). When populations of fungal or algal feeders reach high population sizes, we suspect that they may have some impact on their food base, but the magnitude of the effect is unknown. 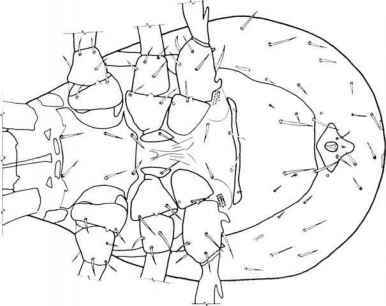 The Mesostigmata (Fig. 4.23) contains fewer soil inhabiting species than do Oribatida or Prostigmata. 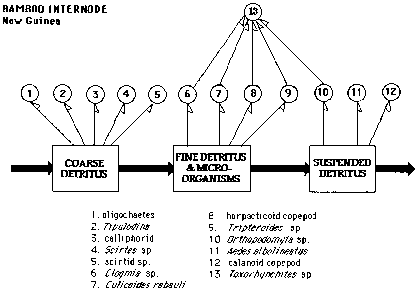 Krantz and Ainscough (1990) include keys to families and genera of the soil inhabiting species of Mesostigma-ta. Many of the Mesostigmata are parasitic on vertebrates or invertebrates (Krantz 1978), and some of these may be captured in soil samples. The true soil species are almost all predators. Afew species (in the Uropodidae, for example) are polyphagous, feeding on fungi, nematodes, and juvenile insects (Gerson et al., 2003), and may become somewhat numerous in agroecosystems (Mueller et al., 1990). Mesostigmatic mites are not as numerous as oribatids or prostigmatid mites, but are universally present in soils and may be important predators. As with the Prostigmata, the larger species tend to feed on small arthropods or their eggs; the smaller species are mainly nematophagous. Some of the species in the family Laelapidae are voracious predators on red spider mites and false spider mites feeding on aboveground vegetation. In the soil itself, members of the genus Hypoaspis (Fig. 4.24) are important predators of small insect larvae. Walter and Ikonen (1989) found that mesostigmatic mites were the most important predators of nematodes in grasslands of the western United States. In contrast, they found that the larger Prostigmata were predators on arthropods or their eggs. Of 63 species of mesostigmatic mites tested, only 6 did not readily feed on nematode prey. The mites each consumed 3 to 8 nematodes per day. Western grassland soils have little surface plant litter. FIGURE 4.23. 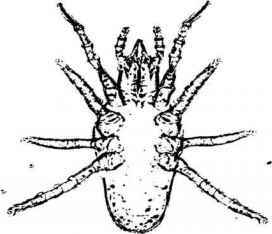 Macrochelid mite (from Krantz, 1978). FIGURE 4.24. 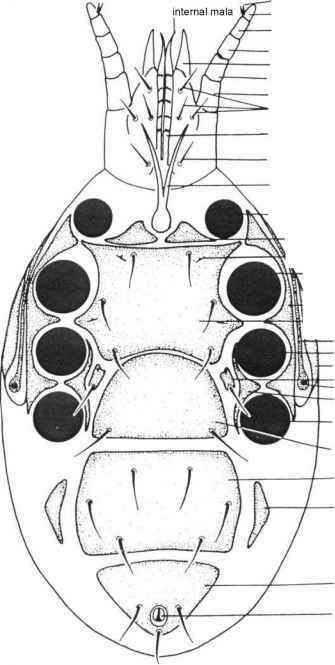 Hypoaspis marksi (from Strandtmann and Crossley, 1962). ing depth in the soil (Coineau, 1974). In forest floor habitats, members of the genus Veigaia (Fig. 4.25) are inhabitants of litter and humus layers; smaller species (Dendrolaelaps) occurs in the humus-soil interface, and the minute Rhodacarellus (Fig. 4.26) is found in mineral soil (Krantz and Ainscough, 1990). Many species of Mesostigmata have a close relationship with various insect species, a relationship that often includes the soil environment (Hunter and Rosario, 1988). Several genera in the cohort Gamasina are also considered useful as bioindicators of habitat and soil conditions (Karg, 1982). FIGURE 4.25. Veigaia uncata, ventral view of female (Krantz, 1978). FIGURE 4.27. 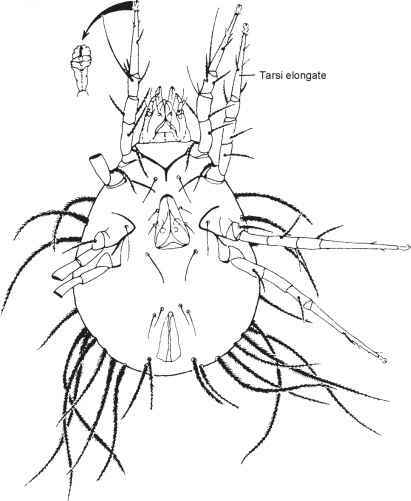 Astigmatid mite (Glycyphagus domesticus [DeGeer]) (Oregon, United States), venter of female with detail of pretarsus I (from Krantz, 1978).